Hardware aceessory, hardware, hinges, lasps, hatch, barrel bolt, doorstop, garage hardware, cabinet hardware, fence hardware, screen door hardware, Industrial parts. Industrial equipment. 1134a Charging Hose 3000 PSI Burst. New. Delta Electronics AFB0512LB Case Fan. Used. Eaton 457 Crouse-Hinds 3", Set Screw Box Connector. New. 115-6730 Filter Cartridge, 13" X 26". New. 28-1015-0 or 28-1015-D Used. (26) 37-006-137-040 Set of 3. New. (W25). 3M 8426-9 Cold Shrink Connector Insulator. New. 3M 961 Ionized Air Blower. Used. 2 Speeds. (W25). 502-35298-03 L Bracket. New. 57219-66.1040.420-04 Bracket. New. ABB OT63F3 Switch-Disconnector. Used. Adams Rite Aerospace AR138-3-4. Latch, Mortise. New. 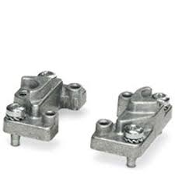 Aggressive Hydraulics BDC-20 Rod Clevis. Used. Alcatel 1AF24701AAAA Bracket Straps. New. Alcatel A9400 3CC13722AAXX. Digital Microwave Radio Links. New. Alcatel-Lucent 1AD191550001 Kit. New. Alcatel-Lucent 902931-90 Bracket. New. Alcatel-Lucent LT-DK-70. Refurbished. Alco Controls F-48 Suction Line Filter. New. Allen Bradley 800T-H2A Selector Switch. New. Allen Bradley Class 9001 Type KN-202R Stop Plate. New. Angelus Seamer 70L815 Upper Lifter Seal O-Ring. Arrow AK100 Anchor Kit. New, #AK100. AK-100. Arrow F329-06F5 , Pneumatic Filter Housing. Working Pull. Ashcroft 1377 Duragauge 4 1/2". New. Ashcroft Duragauge 4 1/2" 1377A. 1/4" Connector. New. Astrosyn Stepper Motor. 16PY-Q204-05. Automated Logic LM24-M ALC Board. Automatic Air Valve, 2123-107-99 Rebuild Kit. New. Automation Components A/CP-l-2.5"-GD. New. Automation Components ACI/LP, LP Series Transmitter. Balcrank Lower Nut 825607. New. Banner 97942-162K734H01, 81034. New. Bike and Storage Hooks. Set of 2. # 02352-10. Bimba ARC-1 Clevis Rod. New. Clevis Rod. Bimba MC-50 Cylinder Mounting Kit. Cleavis Mount. Bissell 2031470 Vacuum Motor Assembly. New. Boston Gear 49024 CSC162. Clamping Collar. Boston Gear 49163 Clamping Collar. New. Boston Gear. New. Shaft Collar. SC218. 67729. Bracket Roller 155250. New. 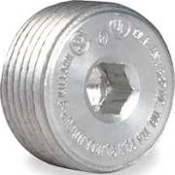 Bridgeport 103-S Conduit Locknut., 1". 50 Count. New. Bridgeport 674-DC2 Oval SE Cable Connector. Box or 10. New. Browning 4L220 FHP V-Belts, L Belt Section, 21 Pitch. New. Browning N3 Tightener Shaft and SC1 Collar. New. 1296953. Busch Vacuum Inlet Filter. 532.003.00. New. C.A. Norgren 1968-02 Venturi Plug. New. Cantex 2006008 PVC Floor Box Leveling Ring. "LOT of 4." Caplugs 620.000115 Plug. New. Carlisie 3VX335 SPZX850 Power-Wedge COG Belt. Carlisle 3VX425 Power-Wedge COG-Belt. New. Centaur 25 CU55B5 Dual Fans with Connectors. Used. Central Steel CTB310ZYK5 Kit. New. Charles 14-MT3448-0 Transformer. Used. Chemical Feed Pump. UT24-XA-LTAUE12. Used. Chemins De Cables. Cable Trays. New. 558 011. Chrome Plate 66.2000.004-03 C Shape. New. Chrome Plug Buttons Assortment, No. 36049. New. Coleman Filler Cap. 220C1401. New. 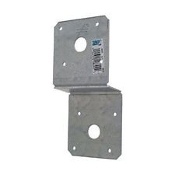 Cooper B-Line Galvanized Corner Splice Plate. New. Cooper Trapeze Hardware Kit. 9ZN-5500-1/2. New. 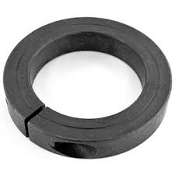 CR Industries 43691 Oil Seal. New. Crown Bolt 030699095261. #327 U-Bolt 2" Pipe. Lot of 2. Crown Bolt 20681 #8 Washer Finishing, Nickel. New. 8 Pieces. Cutler E22NS36 Hammer, Legend Plate. (Blank) New. (7) Cutler-Hammer 10250TC4N Blue Plastic Lens. New. Cutler-Hammer E26BPV2 Intermitent Alarm. New. Dayco Power-Wedge 3VX630. Cog Belt. New. Decibel SP8894 Transceiver Duplexer. Working Pull. Delta Controls RTS-406 Thermostat Module. Dematic CXK000277ABA XC Pad Assembly OPASM00706. Dickson C456 Circular Chart, 8". New. DoAll 35-2270 Bandsaw Tire Belt. New. 9545-1535-B. Dodge 112922 Sprocket. New. 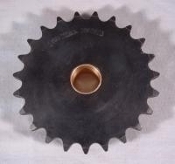 Dodge P48-14M-55 Sprocket. New. Dodge Reliance 094786 Breather Extension Kit. New. Donaldson Torit P145891 Dust Collector Filter. New. Draw-Rod Nut 128291. New. Dunkermotoren BG IBU Z9029 Roller. New. (7) Eaton E58KAM30 Sensor Mounting Bracket, 30mm. 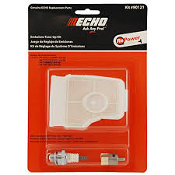 New Echo Kit #90109 Emissions Tune-Up Kit. New. Echo Kit #90121. New. Retail Package. Edwards Signaling 102LM-A Lens Module. Amber/Orange. New. Edwards Signaling 102LM-B Lens Module. Blue. New. Edwards Signaling 102LM-G Lens Module. Green. New. Edwards Signaling 102LM-R Lens Module. Red. New. Edwards Signaling 102LS-SLEDA-N5 Amber/Orange Light Source. Edwards Signaling 102LS-SLEDB-N5 Blue Light Source. Edwards Signaling 102LS-SLEDG-N5 Green Light Source. ElectroCom Automation 148-0021-001 Power Supply. New. Emerson CbN 3000 Series. New. 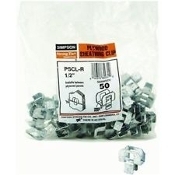 Dematic. . Fair-Rite 2643480009 Ferrite Core Coated. New. Green. Fair-Rite 5975001821 Toroids. New. White. 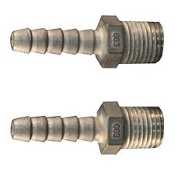 Fastenal 1101203 Hex Head Cap Screw. 10 Count. New. Fastenal 110120342 Hex Cap Screw. G5. New. Fastenal 110120380. 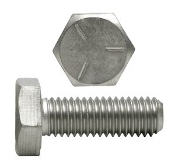 1/2"-13 x 1-1/2" Zinc Hex Cap Screws. Fastenal 1131226 Phillip Pan Head Tapping Screws. New. Fastenal 1133622, 3/8" Zinc Finish Medium Split Lock Washers. Faztech 15AC8705 Aluminum Panel Mount Block. New. Festo DSNU-20-80-P Pneumatic Actuator Air Cylinder. Fuji Electric Machine Cont 8801-0. Working Pull. Gates 1NHA2, 4 Groove V Belt Pulley. New. Gates 8MGT-3200-62 Poly Chain GT Carbon Belt. Gates 8MGT-720-21 Poly Chain Belt. New. Gates 8MGT-720-36 Poly Chain GT Carbon Synchronous Belt. Gates 9014-2060 Tri Power V Belt. New. Gates TL32L100 Sprocket. New. PowerGrip Timing Pulley. (8) Gear 122636. New. General Electric 5KH32DN24X. Used. 1/6 HP. Giddings & Lewis ML-DB22 Spindle Cover. New. Giddings and Lewis 152888 Wiper. New. Grove Gear DTMQ224-4, Flexaline. Refurbished. Grove Gear IronMan TXMQ3-180/180. Refurbished. Grove H-A3gs Contact. New. GT Ring 6089-173-CN. New. H 66.0005.000-01 Chrome Steel V Plate. New. H-Square ANFEZQ6 150mm Automatic Wafer Aligner. Used. H-Square WT28HLAS 200mm High Wall / Low Wall Wafer Transfer. Habasit 502-23400-03. New. Mail Slide. BI-Directional. Habasit 66.1005.600-21 Belt. New. MAM-04H. Haltom 61071000200 Gauge. Used. Haltom D-1769-8 G Gauge. X10 PSIG. 4-20 MA. D.C. New. Harpco L37-343 Pressure Regulator. New. Harwal A13900 Oil Seal. New. HB&G C-13 Column Caps. New. Heavy Duty 7/8" and 1 3/8" Jig For Tightening. Used. HID 5395-104 ThinLine II Proximity Wall Reader Cover. White. HID 5395-104-01 ThinLine II Proximity Wall Switch Cover. HID 5395-104-02 ThinLine II Wall Cover. Almond. Hodell-Natco Fender Washer FENW03801250Z, 3/8". Hoffman 59710 Hole Seal Enclosure, AS075. New. Hoffman 59730 KO Seal, Gasketed, Oil Tight Hole Seal, 1". Hoffman E2PBGXM Enclosure for 2 Pushbuttons, Steel, Gray. (6) IFM Capacitive Sensors. KN5124. New. 2 Units. IFN Electronics GMBH. D-45127. ClassicLine: M12. igus Energy Chain. 10.3.075. New. igus Energy Chain. E14.2.048. New. Ingersoll Rand 1W1619 Compressor Washer. New. Ingersoll Rand 30349419 Compressor Part. New. Ingersoll Rand 39484662 Coalescer Filter. New. OEM. Ingersoll Rand UD5-5A Air Compressor Seat Regulator. Ingersoll Rand UF3-36 Plug Screw. New. Ingersoll Rand UF3-9A Compressor Plunger. New. Ingersoll Rand UF5-10A Compressor Plunger. New. Ingersoll Rand UR1-29 Compressor Part. New. Ingersoll Rand X1080T32 Compessor Part. Ingersoll-Rand 1W6514-1 Compressor Part. Ingersoll-Rand UF1-7A Plunger Control. New. Ingersoll-Rand UF5-8A Plunger. New. Intermatic T101 Timing Dial, WG1570-4, 125 VAC, Working Pull. ITT K10AB389 General Controls. Used. 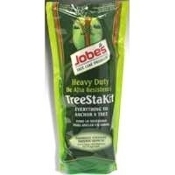 Jobe's TreeStaKit. New. 038398005253. K&T 0-36610 O Rings. New. 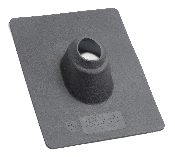 K&T 123199 Felt Seal. New. K&T 200TB26 Cabinet Cap. New. Amber. K&T 250415 Screws. New. K&T 550692 Wiper Way. New. K&T 575257 Gear. New. K&T 8517-84590-5 Wiper. New. K&T 8517-86002-5 Relief Value Seat. New. K&T 8517-86020-5 Wiper Way. New. K&T 8517-86021-5 Wiper Way. New. K&T 8517-86024-5 Wiper. New. K&T Disc Spring. 153237. New. K&T Glass Sight. 119601. New. K&T Key Lock Ring. ML-DB68. New. K&T Key, ML-FA15. 3 Each. New. K&T M3-F8 Poppet Relief Valve. New. K&T ML-DB39 Bearing. New. K&T ML-DB80, Disc Spring. New. K&T ML-DC13 Plunger. New. K&T ML-FA21 Key. New. K&T Moduline 5-120776 BRG Nut. New. K&T Moduline 8517-86028-5 Wiper. New. K&T Moduline ML-DA60 Wiper Way. New. Karnak #34 Asphalt Saturated Cotton Fabric. New. Kavlico P593-5022 Sensor. Refurbished. Key Guide ML-FA16. New. Killark CUP-2 Plug, Recessed, 3/4". New. Kingsley 10092-2 Wire Marker Pen. New. Kingsley 10093 Auto Wire Marker-10. New. Kingsley 10094-2 Auto Wire Marker-10. New. Kingsley 10094-5 Auto Wire Marker-10. New. Kingsley 10094-6 Auto Locking Marker-10. New. Kingsley 10095-1 Auto Wire Marker-10. New. Kingsley 10096-2 Auto Wire Marker. New. 2 Plates. Kingsley 10194 Wire Marker-10. 8 Rods. New. Kingsley 10194-4 Auto Wire Marker-10. New. Kingsley 2-10091 Auto Wire Marker-10. New. Kingsley PIC-4420 Auto Wire Marker-10. New. Klingelnberg GmbH 147658A Links. New. Klingelnberg GmbH 147659A. New. KMC Controls XEC-3001 With Gauge. Refurbished. Lag Shield. 25 Packs of 3. New. Short Alloy. 5/16" X 1 1/4" . Letica Ad-Vanced Airtech Co. Adhesive 432. New. Four Gallons. Lilly 308033 Filter Element. New. EPNG. Lilly 50E 200E 9-1/4" L X 4-3/8" OD Filter Element. New. 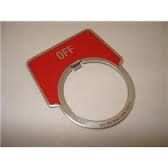 LM 10478-00036 Anti-Twist Plate. 36 Count. Locherd M.1002.8971 L Backet. New. Lucent 300120367 Cable Kit. New. Lucent 402017214 Flexible Heat Shrink Tube. Lucent 408498947 K-9 Filler Bar. New. Lucent 408498954 K-25C End Cap Kit for 2" Cable. 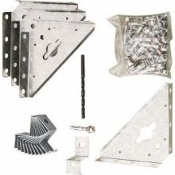 Lucent 408498962 Hardware Kit. New. Lucent 801830746 Washers. Lot of 40. New. Lucent 841059868 Screws. New. Lot of 40 Screws. Lucent 901078717 Metal Screws. Lot of 100 Screws. Mackworth G. Rees, Style: 1961. Used. Magnavox M61231 75' Lead-In Wire. 300 ohm Foam Insulated. Magni-Power 601904212 Hardware Kit. New. Manco Wall Fiberglass Repair Fabric. New. Retail. Mann C75 Air Filter. New. C 75 Air Filter. (10) Manville 3L815 Oil Seal. DA-AN1150. 1C1. 3L815. New. Marshalltown 2" Fig. 22-30 Vacuum Gauge. 115667-A. New. Martin 3/4" Pitch Sprocket. 2060B23. 5YMz. New. 3/32" Bore. Martin 60 22 Sprocket. New. Martin 80BS14 1 3/4" Sprocket. New. 620.000279. Martin Taper Bushing. 2517. 1 7/16". New. Milton 638-7. 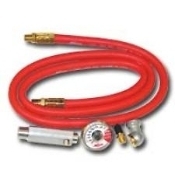 0-160 PSI Gauge. New. Milton No. 701 Coupler Repair Kit. New. Milton S148 Blo-Gun. New. Female 1/4" NPT. Milton S150 Blo-Gun. Female 1/4" NPT. New. 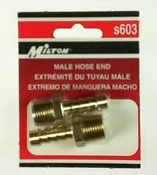 Milton S603 Male Hose End, New. Brass. Milton S663 Hose End Male 1/4" N.P.T. New. Milton S682 Air Tank Conversion Kit. New. Milton s718 Female Coupler Body. New. Milton s732 Coupler Plug. New. M Style. 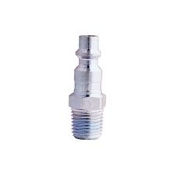 Milton s733 Male Coupler Plug. New. M Style. Milton s746 Three In One Coupler Body. 1/4" NTP Male. Milton s775 Female Coupler Body. 1/4" NPT. New. 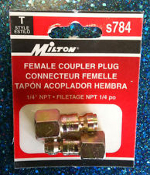 Milton s784 Female Coupler Plug. New Retail Package. ML-DB85 Nut. New. Modicon 990NAD23000 MB+T-Connector. New. Mori Alpha Storage Pocket. 3M0011. New. Motion Industries 125105 Repair Kit. New. Motorola Symbol HP BRKT-70665-01R RFID Antenna Bracket. Nasco Model: 1014. Refurbished. Newton 2111680210 Bracket. New. Retail Bag. Nitta 66.1000.500-24 Belt. Siemens. New. Norgren 1448-01 Repair Kit, Head Assembly. New. Norgren Magnetic Piston. ND043. Refurbished. North 75SCP100 Gas Mask Filter. 2 Filters. Filter: . (8) Notched Belt 800-05852-36. New. NSI Industries PTS4/0 AL9CU, White. PTS600. New. (29) Nylon Webbing 1" X 200' Roll. New. Black Color. Nylon Webbing 1" X 200' Roll. New. Slate Color. Nylon Webbing 1" X 200' Roll. New. Teal Color. 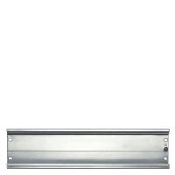 Oatey 14038 Flex-Flash Roof Flashing. New. 3". New. Oatey Flex Flash 4". New. Pitch to 45 degrees. Oriental Motor 2RK6GN-A Gear Head Motor. Oriental Motor 3IK15GK-A2 Induction Motor. Used. Oriental Motor 3IK15RGN-A Speed Control Motor. Used. Oriental Motor 3RK15GN-A Reversible Motor. Used. Paco 91910715 Seal Kit. New. Parker 032S Liquid Line Filter Dryer. New. Parker 083S Liquid Line Filter Dryer. 3/8". New. Parker F31VXBG019A Solenoid Valve. Used. Pedco Systems 66-0021.012-00 Belt Take Up Bearing. New. Plunger M.1200.3023. New. Pro Connex 49407 BX/MC/FLEX 1/2-Inch Squeeze Connector. Proportion-Air QB2TFEE150 Regulator, Used. Pully. Orange. Used. QuadTech Fusion Calibration Fixture. Used. Raco 57, CM3, 5A054A. 3.5 CU. IN. Steel Wall Plate. New. Redington 7620-7T1DC Counter Resetable 5-30VDC. (27) Reed Switch 226967 Kit. New. Retainer Key, 153525. New. Rexroth 21117849/30 Filter Screens. New. Rod. 825589. New. Rosenberger CX605-HA1117. Hangers. Rosenberger TH513-U02 Angle Adapters (C Clamps). New. Roulunds Roflex 38L-1042-GW Belt. New. Safety Pin. 8517-85800-5. New. SafetyGear 302-MVGZ4PLY/XL Mesh Fabric Vest. Schmidt 2229-002-99 Sandblaster Replacement Kit. Schmidt Abrasive Blasting Deadman System. Used. Scientific Industries 146-3011-00 Pop Off Cap. New. Serpac 172. Wall Mount Enclosure; Plastic; New. Seven Sided Screw Heads. 250428. New. Sexauer 072421 O-Ring Metal Case. Used. Shower Squeegee with Storage Hook. 797411042001. Sick 1028519 Tricon Sensor Assembly. New. Sick 1028520 Tricon Reflector Assembly. New. Sick 2046634 Prototype. Refurbished. Sick Diagnostic Display LGTN-101-511. Used. Sick DKV60-E1Z0-S03 Incremental Encoder Wheel. New. Sick MHT15-P4317S05 Photoelectric Sensor. New. Siemens 257-4135 Conveyor Belt Rollers. New. Siemens 32.1510.001-13. 230 V, 60Hz. Motor. New. Siemens 32.1811.200-31.SL/e. C Ring. New. *** Siemens 32.1811.200-41.SL/d Cutter Blade. Siemens 66.1000.500-25 Belt. Nitta Brand. New. Siemens 66.1040.369.03, PSI. New. Siemens 660-006314 Gasket Rubber Seal. New. Siemens 660.006313 Gasket. Rubber Seal. New. Siemens 660.006623 Sleeving. New. Siemens 6ES73901AJ300AA Sitmatic S7 E-Stand. New. Siemens 730512 Round Filter. New. Siemens 8WD4 320-OCF Buzzer Unit. New. Siemens AX502-29118-00. REV.A. W/O 6732763. Refurbished. Siemens AX502-33900-65 Belt Drive. New. Siemens CXS3497G0219 Conveyor Belt Rollers. New. Siemens DXWK00010009 Nylon Brush. New. Simpson Plywood Sheathing Clips. PSCL-R 1/2". 50 Count. (27) Simpson Strong Tie. DJT14Z. New. 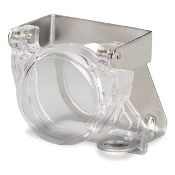 SitePro 1 BUG158 1-5/8" Butterfly Hanger. 10 Pack. New. Slide Acid Vapor Neutralizer. Box of 12. 44011. SMB Hydraulics SMB-20 1 1/4", SMA-24 1 7/8". Connector. (W25). 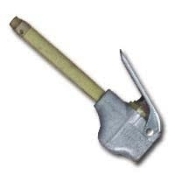 Southco P7-A-503-11-1 Ejector Handle. New. Spacer, 153512. New. Spacer, 155252. New. Speed Control AT10-660-32 Metric Timing Belt. Speed Control T5-630, 0107. New. Speedy S5-7 Plate. 00212611079999. New. Split Ring, 196838. New. Spring Retainer 154950. New. Spur Gear J4-120, New. Spur Gear. New. 226978, H49-64. Square D 11816741 Lock-Over Padlock Attachment. New. 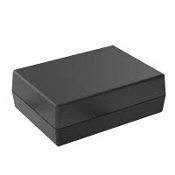 Square D 8240-71545-5 Switch, Jog. Square D PK9GTA Equipment Grounding Bar Kit. New. Square D QOC20U100F : Load Center QO Cover Flush. New. Standard Power Supplies 200B48. Refurbished. Star 118N Heavy Duty Sleeve Anchor. 1/4" X 2 1/4". Sullair 250007-839 Air Intake Filter. New. OEM. Sullair DA-SUL1078 Value Thermal Kit. 02250105-553. T & S Car Stop 4UP84 Asphalt Curb Installation Kit.